Fiveight was incorporated in July 2010 to provide a tailored distribution service to international brand partners in the New Zealand market and is proudly 100% NZ owned & operated. Fiveight provides full service to all its brand partners including marketing, PR, sales account management and distribution. Since forming Fiveight has grown into the leading Entertainment distributor in the New Zealand market, exclusively representing global brands, Electronic Arts, SEGA, Turtle Beach, Milestone, Focus Entertainment, PDP, Ubisoft and Warner Bros Interactive. 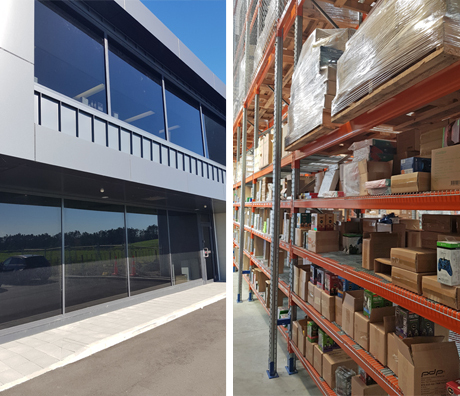 Fiveight's Hobsonville offices and distribution centre are strategically located in a high tech business park and equipped with the latest technology. Fiveight's modern business systems are "cloud based" supported by "best of breed" local companies ensuring flexibility and scalability for future requirements.